With five more states voting on whether or not to legalize recreational marijuana come November, millions more Americans are closer than ever to being able to smoke pot freely and legally. This makes it a perfect time to take another look about some of the facts about marijuana’s effects. Mic has done extensive reporting on the positive and negative effects of weed. For those interested in marijuana’s effects on the body — from your brain to your heart to your uterus. It is one of the big scientific mysteries of Alzheimer’s disease: Why do some people whose brains accumulate the plaques and tangles so strongly associated with Alzheimer’s not develop the disease? Now, a series of studies by suggests a possible answer, one that could lead to new treatments if confirmed by other research. The memory and thinking problems of Alzheimer’s disease and other dementias, which affect an estimated seven million Americans, may be related to a failure in the brain’s stress response system, the new research suggests. 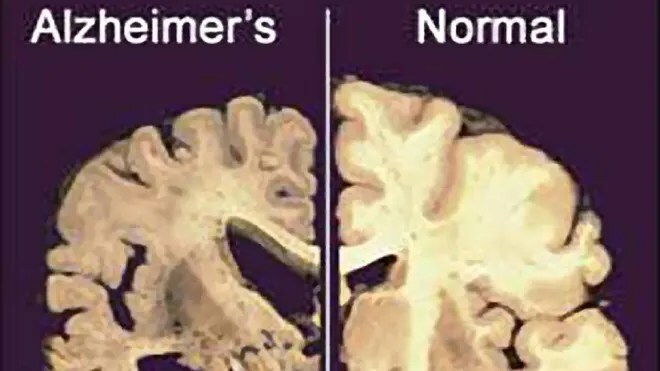 If this system is working well, it can protect the brain from abnormal Alzheimer’s proteins; if it gets derailed, critical areas of the brain start degenerating. An Alzheimer’s patient receiving help in Noblesville, Ind. It is not yet possible to measure the levels of a protein that is the focus of a study, a gene regulator called REST, in living people. Alzheimer’s disease ravages the brain, robbing its victims not only of their memories but often their ability to do things as basic as swallowing. Now, a study of aging patients suggests its true toll may top half a million lives a year — a figure that would put Alzheimer’s just below heart disease and cancer on the list of America’s top killers. The incurable, degenerative brain disease was blamed for 83,000-plus U.S. fatalities in 2010, making it the sixth-leading cause of death that year. But its true toll may be as much as six times that, said Bryan James, an epidemiologist at the Rush Alzheimer’s Disease Center in Chicago. Close to 50 percent of our waking hours are spent daydreaming — so why not make those visions worth your while? Not only does a wandering mind provide a quick mental escape, it actually produces numerous brain benefits. Studies have found that daydreaming can be linked to better test scores and a more engaged mind, which may help with recalling information when surrounded by distractions. Putting our head in the clouds is also crucial to the creative process. In fact, many great ideas — from Salvador Dali’s great works of art to songs by the Beatles — came from letting dreams and imaginations run wild. Check out the imagination quotes below from these famous dreamers and thinkers. Then, the next time your mind starts to drift, let it. A team of British scientists has released a major study that could represent a breakthrough in the treatment of human neurological diseases, such as Alzheimer’s or Parkinson’s. In a study published Wednesday in the journal Science Translational Medicine, the team said that it had halted brain cell death in mice by using a drug-like compound that was injected into the animals’ stomachs through a mouth tube. The team induced a neurodegenerative disease caused by abnormal prion proteins — the nearest model of human disorders that can be found in animals — before treating one group with the compound. According to the study, the mice who were treated remained free of symptoms like memory loss, impaired reflexes, and limb dragging five weeks later. The treated mice also lived longer than the untreated mice. Scientists believe they have discovered a new reason why we need to sleep – it replenishes a type of brain cell. Sleep ramps up the production of cells that go on to make an insulating material known as myelin which protects our brain’s circuitry. The findings, so far in mice, could lead to insights about sleep’s role in brain repair and growth as well as the disease MS, says the Wisconsin team. The increase was most marked during the type of sleep that is associated with dreaming – REM or rapid eye movement sleep – and was driven by genes. Precisely why we need to sleep has baffled scientists for centuries. It’s obvious that we need to sleep to feel rested and for our mind to function well – but the biological processes that go on as we slumber have only started to be uncovered relatively recently. Where in the brain, exactly, is intelligence? Is a high I.Q. just a result of a flawed test – or do high-I.Q. brains have specific, measurable differences from others? Answers await, Intrepid Reader – but first we have to make sure we’re asking the right questions. Let’s start with the big news: a study just published in the Journal of Neuroscience reports that when a certain area of the frontal lobe has unusually wide and active connectivity, a higher I.Q. tends to follow. The trouble is, though, that a high I.Q. only reflects certain types of mental abilities – so what this discovery really means is that a certain functional network in the brain plays a major role in certain kinds of smart thinking.